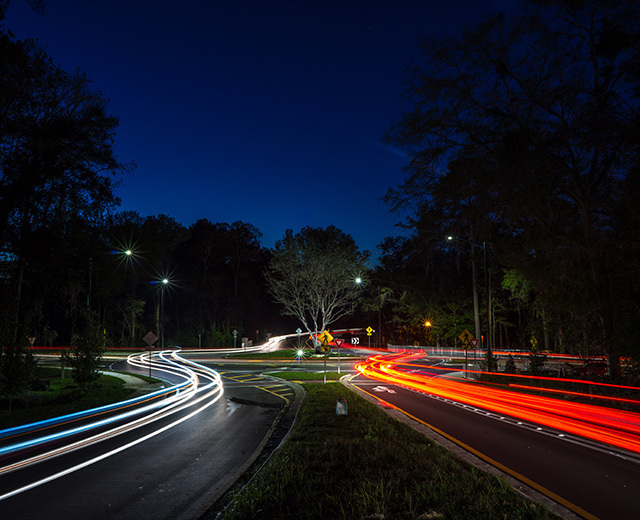 JW Clay Boulevard Streetscape | DRMP, Inc.
Leon County, Florida, sought professional engineering services to improve daily traffic congestion at Kinhega Drive. DRMP was selected to provide these services and suggested that a roundabout would be the most effective option. As the use of roundabouts are uncommon in Florida, DRMP worked with the County to educate the community and nearby high school drivers on proper use. 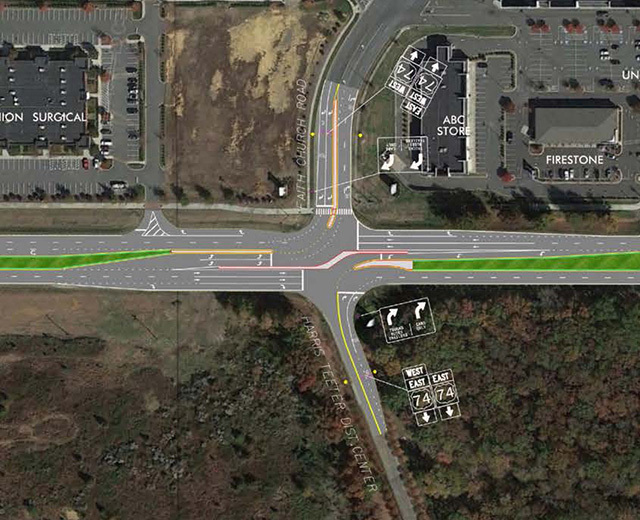 The redesigned roundabout is located at the intersection of Kinhega Drive and the extension of the Beech Ridge Trail in association with the development of Bannerman Crossings. The project schedule was established to allow for construction to be completed during summer break for Leon County Public Schools. Extensive coordination and public education was provided for local residents and students on proper use of the roundabout as well as promoting businesses impacted by the road closure. The intersection work was completed ahead of schedule. 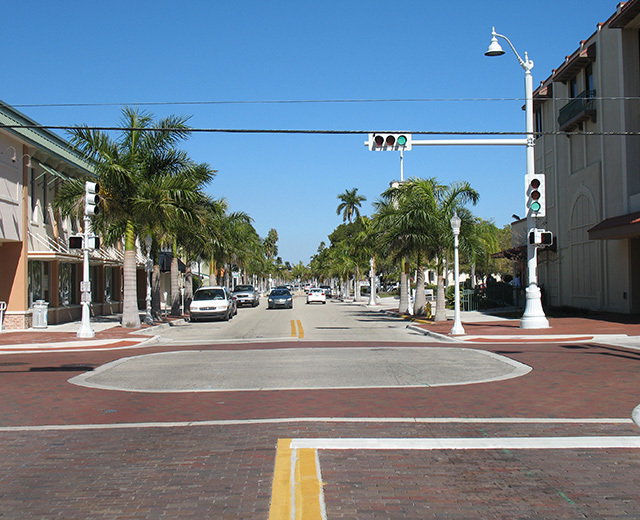 Other unique design features included design of traffic calming measures for a roadway approach, installation of a transplanted mature live oak and accommodation of utility replacement within the project corridor. 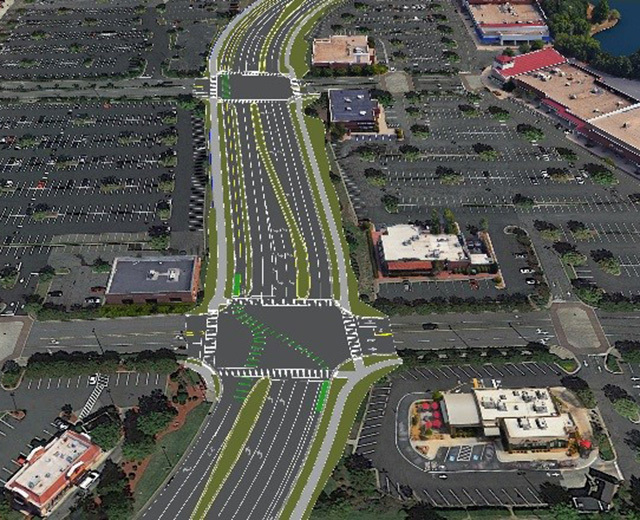 Implementation of a roundabout at this intersection minimized the number of potential vehicles conflict points. The constant movement of traffic through the roundabout prevents vehicle back up onto busy nearby roads.